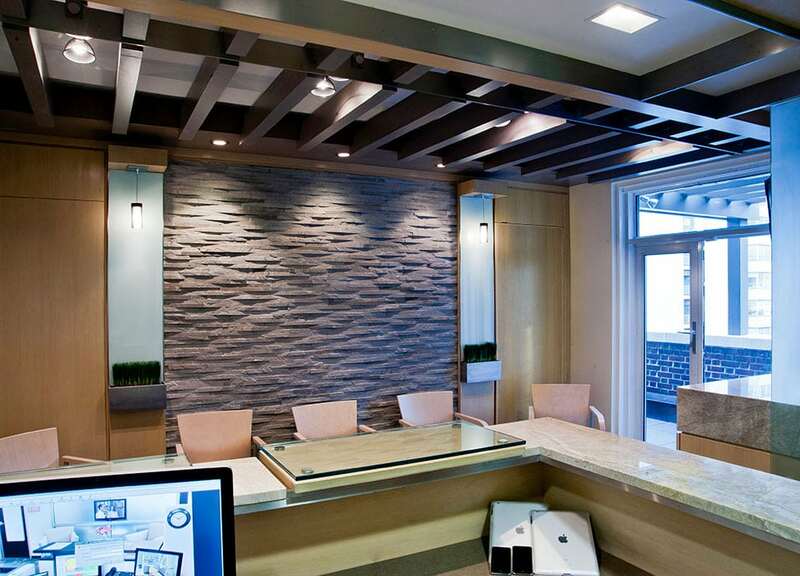 One’s working environment should be a depiction of their philosophy and work ethic. 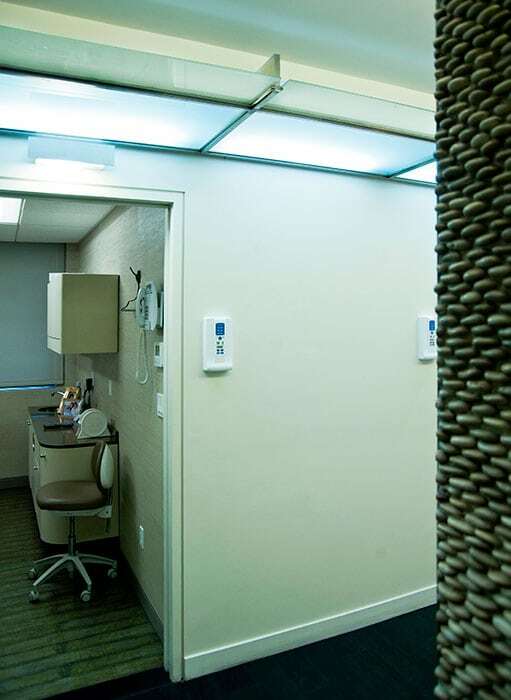 This also holds true in the dental and medical world where a well-done environment can help the patient relax while also representing the stature of the doctor. 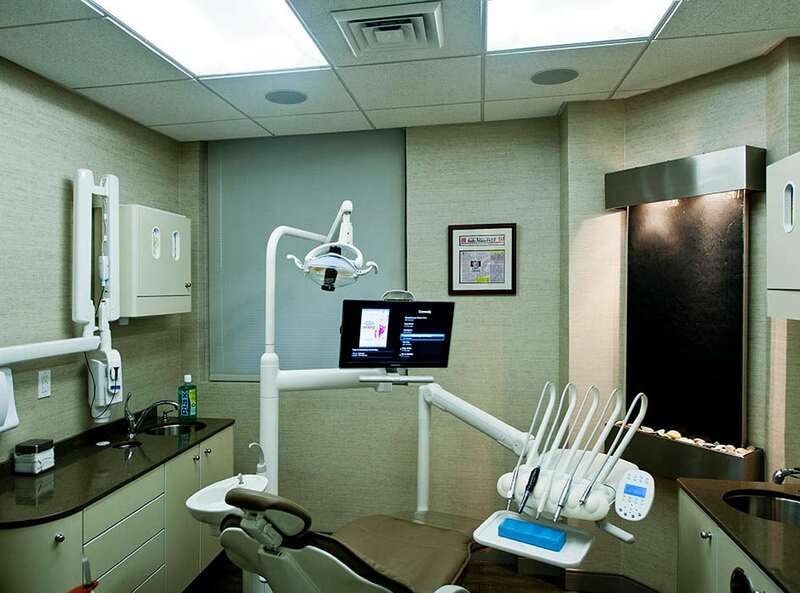 The unique contemporary design of this Manhattan dental facility will make you want to go back to the dentist. 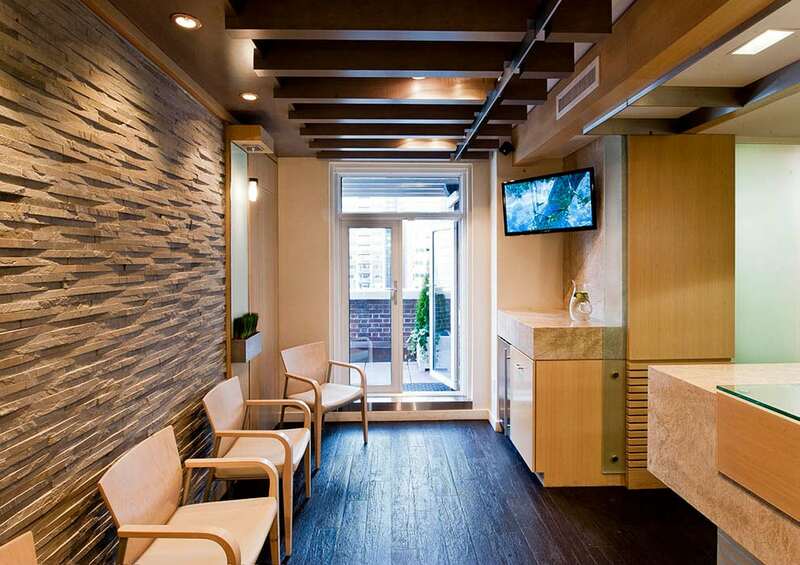 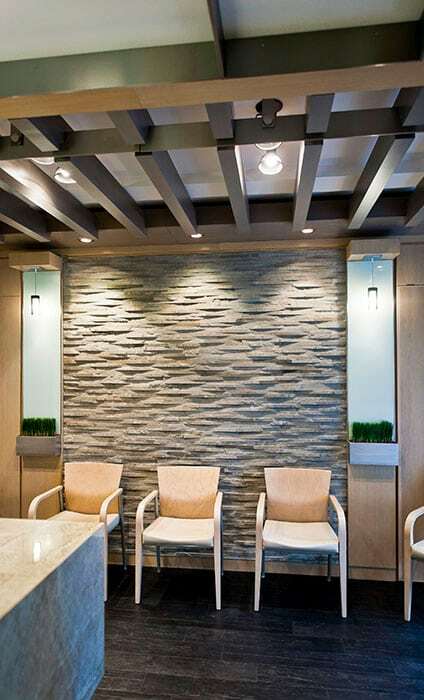 The spa-like environment creates a calming atmosphere while also expressing the philosophy of Dr. Marc Lazare and his expertise in high-end cosmetic dentistry. 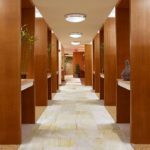 This Upper East Side 1,100 square foot suite on the 14th floor provides ample space for four exam rooms and has two terraces. 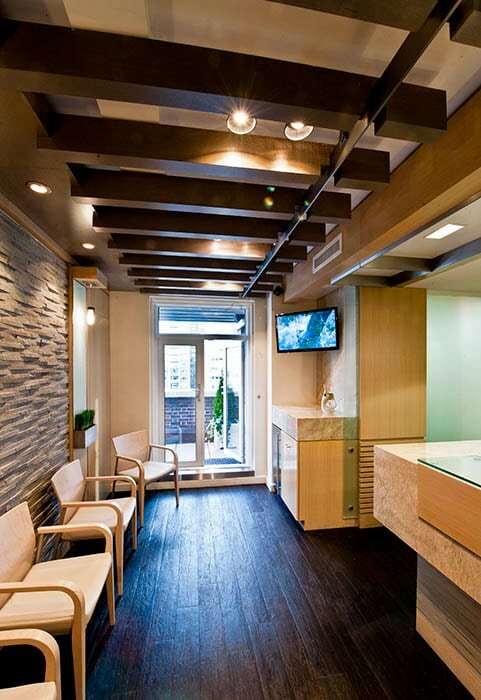 A prominent cedar wood trellis floats overhead and defines the entry and waiting room space. 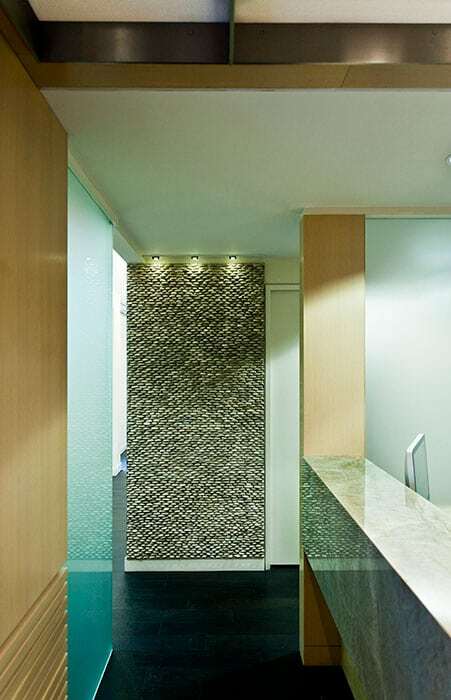 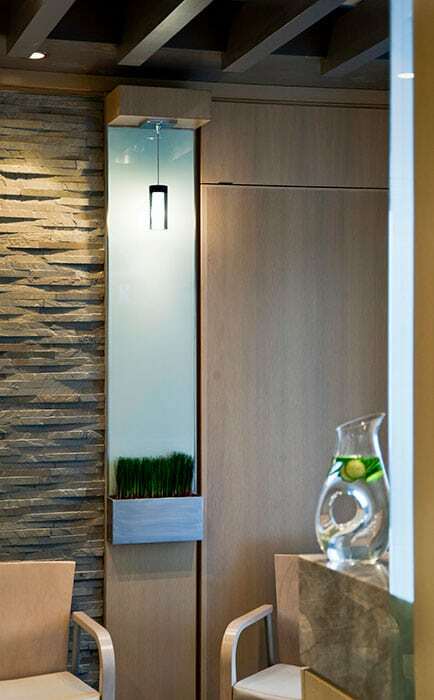 Texture and depth is introduced into the space through the use of exciting materials and careful lighting placement highlighting these distinctive elements. 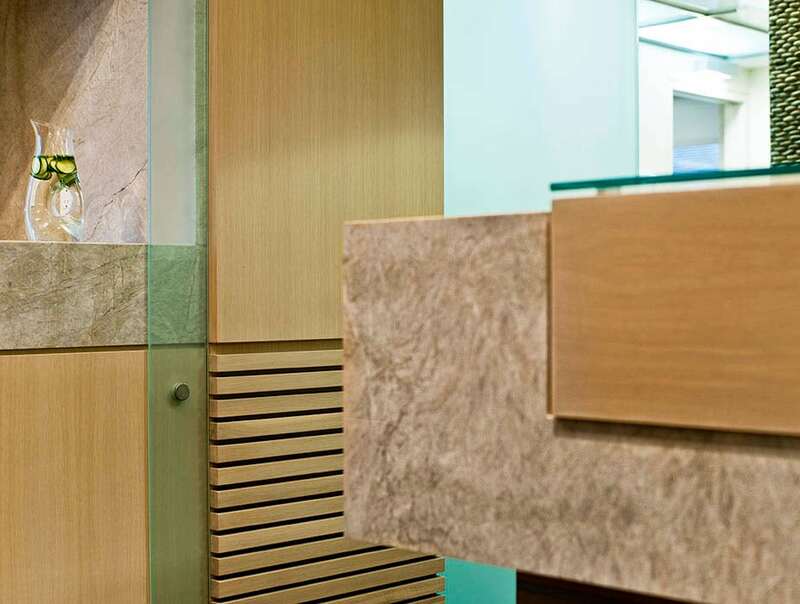 Stacked pebbles and rustic cladding stones with the combination of rift white oak wood create a soft balance. 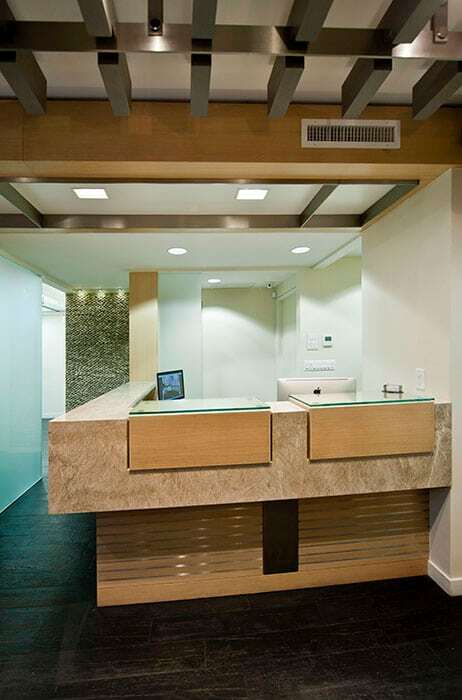 Dr. Lazare’s vision for his dental facility was brought to reality by MSA not only in a creative way, but also functional.